The designed environment is always changing. We’ll help you get up to speed. Get notified about blog posts in content categories that interest you so you don't miss relevant insights from Ayres. Complete Streets are created for everyone. Traditionally, roadways were primarily designed for motor vehicles. Over time, roadway design has evolved to include multimodal transportation concepts and features. The forerunner of Complete Streets policy was introduced in 1971 by the Oregon Department of Transportation, which required that new roads accommodate bicyclists and pedestrians. Since then Smart Growth America records that over 1,400 Complete Streets policies have been passed in the United States, including those adopted by 33 state governments, the Commonwealth of Puerto Rico, and the District of Columbia. 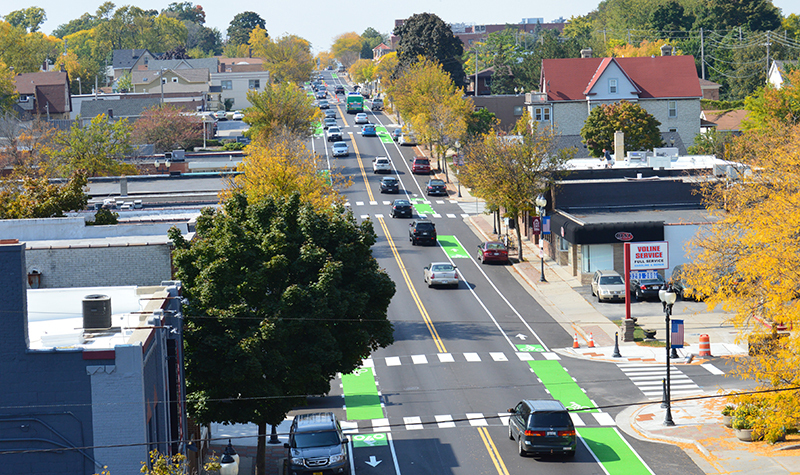 Complete Streets use a transportation policy and design approach that requires streets to be planned, designed, and constructed to facilitate safe access for all users, including pedestrians, bicyclists, and transit riders of all physical capabilities. According to the U.S. Department of Transportation, the shift toward using Complete Streets provides a measure of the overall transformation of planning and engineering approaches over time. The focus of road design is no longer entirely about auto mobility but is about creating a broad network that serves all users. Each Complete Street is unique to its community: It can look much different in a rural area from in a highly urban area. 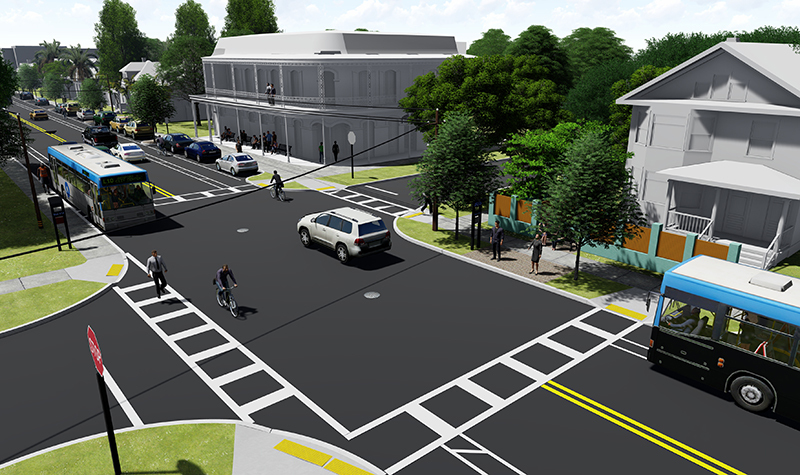 The street can include sidewalks, public transit accommodations, bicycle accommodations, neighborhood greenways, traditional and raised crosswalks, and traffic calming or “taming” measures to help manage vehicle speed. A Complete Streets approach encourages safe mobility for all users by providing places to walk, cross the street, catch a bus or a taxi, or pedal a bicycle. These accommodations help improve safety, promote active transportation, improve health, lower transportation costs, provide transportation alternatives, ease congestion, and create a sense of community. Creating a livable community is the result of implementing a context-sensitive design approach and using specific infrastructure elements that enhance the safety and operational characteristics of a street. For example, in 2011 the City of Tampa developed an InVision Center City Plan, a master plan for Tampa’s Center City, which spans from downtown to Ybor City on the east, Armenia Avenue on the west, and north along historic Nebraska Avenue to Hillsborough Avenue. The Center City Plan proposes roadway “right sizing” and traffic rebalancing to provide safe, walkable, and bikeable neighborhood connectivity. This will support the neighborhoods of Tampa’s Center City in making these locations a more attractive address for residential and commercial investment by enhancing livable transportation. 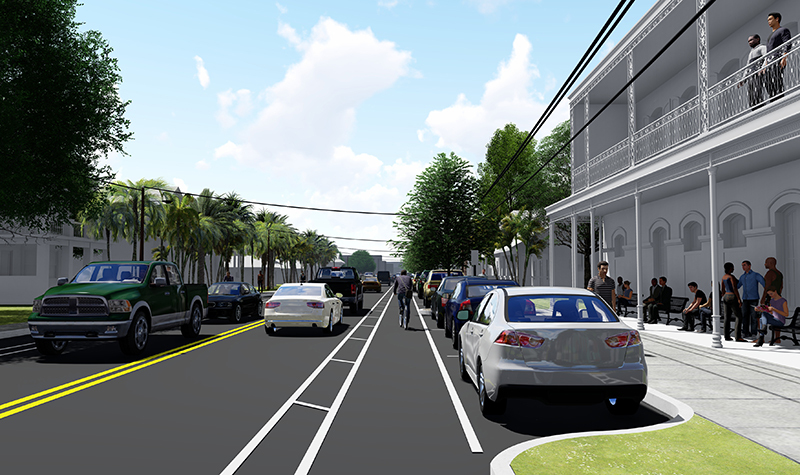 As part of this plan, the City of Tampa selected Ayres Associates for the design of two Florida Department of Transportation Local Agency Program (LAP) funded walk-bike projects – East Columbus Drive from North Nebraska Avenue to 14th Street and 46th Street from Busch Boulevard to Fowler Avenue. Ayres Associates’ Jeffrey Siewert, PE, is the project manager for these projects. For more about Complete Streets, contact Jeffrey Siewert or any of Ayres Associates’ transportation project managers. © Copyright 2019 Ayres Associates Inc. All rights reserved.